Plan to purchase wood pellet making machine to build your own small pellet mill? Do you want to purchase a wood pellet machine or pellet press? There are different things you need to consider before buying a wood pellet making machine. The most important aspects you cannot afford to ignore is quality, size and cost. 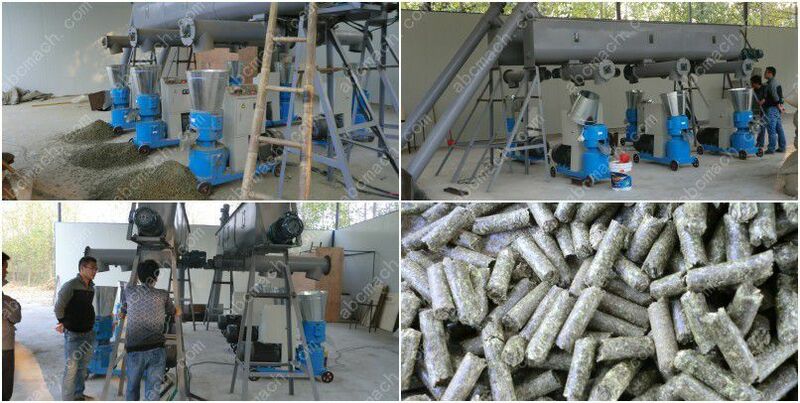 Our small wood pellet making plant can be used to product premium pellets from various biomass materials. To do this, you need biomass materials. One of the advantages of buying a small pellet plant is that it is easy to operate and low cost. This means that it can save you a lot of money because you will not need to hire anyone to help you with the same. In addition, it will not be an uphill task to transfer the machine from one point to another because of the small size and lightweight nature. The key pelletizing equipment of the mini plant is flat die pellet machine. Many people do not want full size pellet making machine since they take up much space in the room. If space is an issue of great concern when looking for wood pellet making machines, then it is wise to go for a small size one. However, a small pellet machine is not likely to perform certain tasks. This makes them not ideal for large pellet mill projects. If you are looking for a machine that can help you when it comes to small scale wood pellet production, then you can consider a small pellet making machine for the same. There are various brands of mini or small pellet machines that you can purchase for your home use. Motor driven wood pellet making machines have a number of advantages over the other types (diesel and gas driven). These machines are not only environmental friendly but also energy saving. This implies that you will not end up paying a lot of money towards electric bills at the end of the month. Most of the machines tend to use 3kw electric motor that operates using the three phase electrical supply. Some brands on the market have the ability of operating on an international voltage. You only need to feed your biomass material into the wood pellet manufacturing machines top and then use the variable speed button in order to locate the base. Once you have done this, you can now start the production process. Our wood pellet making machines apply the gear transmission that helps in reducing the noise as well as promote the cushioning effect of the device. Some of the materials that you can use in our machines include rice husks, wood shavings, corn husks, peanut shells leaves, straw, grass and paperjust to mention a few of them. Ensure that anything you are going to put in the machine does not exceed 6mm. In addition, make sure the moisture content ranges from 8-15%. If your material does not have the recommended moisture content then there are high chances that you will end up with poor quality pellets. The ideal small scale wood pellet machine needs to come with two raw material containers for adding water or oil to the products being processed. Remember oil should only be added to the final mix of the milling process. You will realize that most of the pellets on the market come with a one year warranty. Whenever you feel interested in buying a wood pellet making machine, ABC Machienry - a reliable pellet machine manufacturer with decades of experiences in biomass pelletizing and briquetting will always be your best choice, supplying the best quality and cheap price!